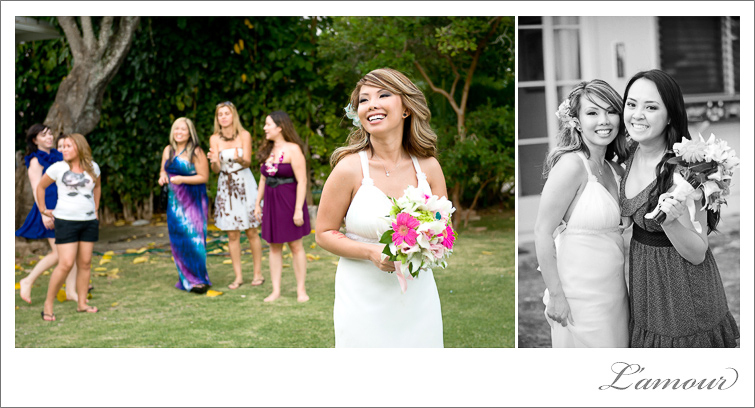 This Hawaii destination wedding was the epitome of fun and laid-back. 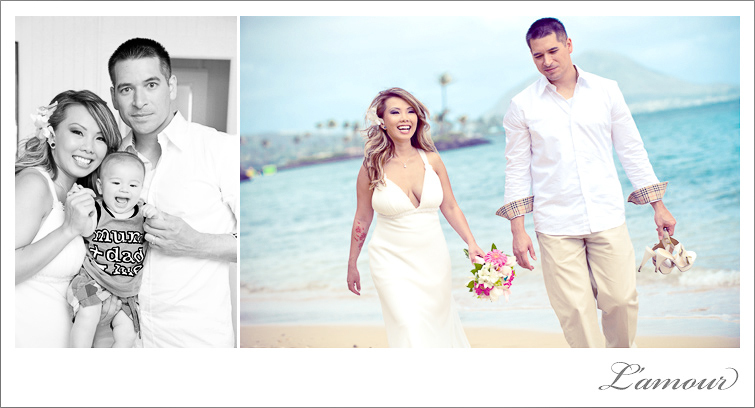 The bride and groom traveled from the California Bay Area to Oahu for their intimate Hawaii wedding. 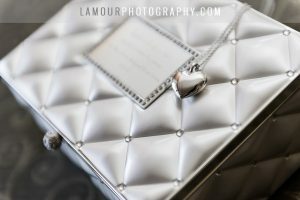 The day started out at a beach front private estate in the Hawaii Kai area of Honolulu where the bride had her makeup done and got ready for the big day. 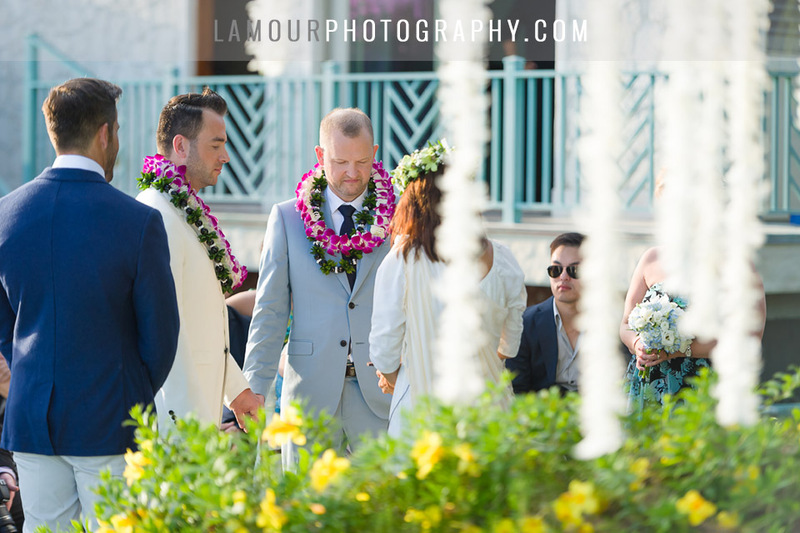 The beach wedding ceremony was held at Waialae Beach Park amongst their closest family and friends. The couple was blessed with some lucky wedding day rain off an on but the sun made a few cameo appearances at all the right times. 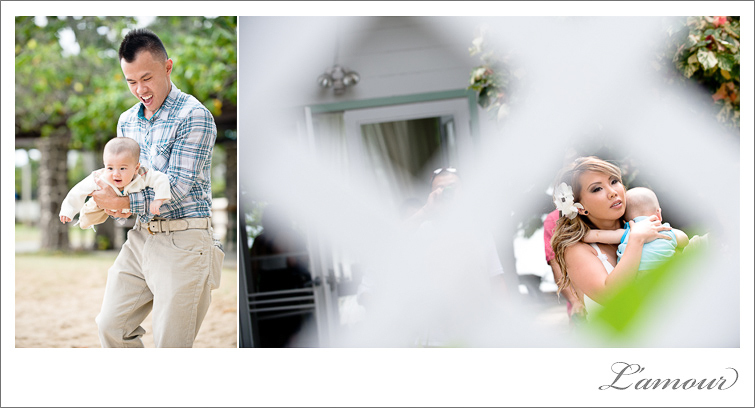 The happy couple’s Honolulu wedding reception was held back at the private estate where the bride and groom enjoyed delicious food from Huki Lau Catering. Paradise Cake Creations provided the 3 tier cupcake wedding cake with a round cake topping the tiers. 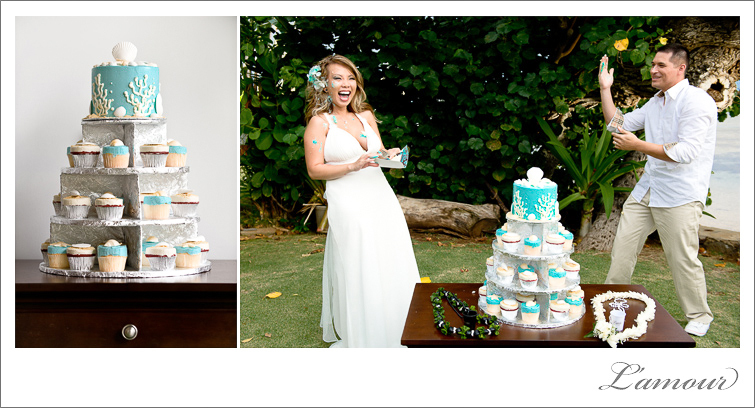 Wedding cake and cupcakes featured blue butter-cream frosting with coral accents and seashell shaped chocolates. 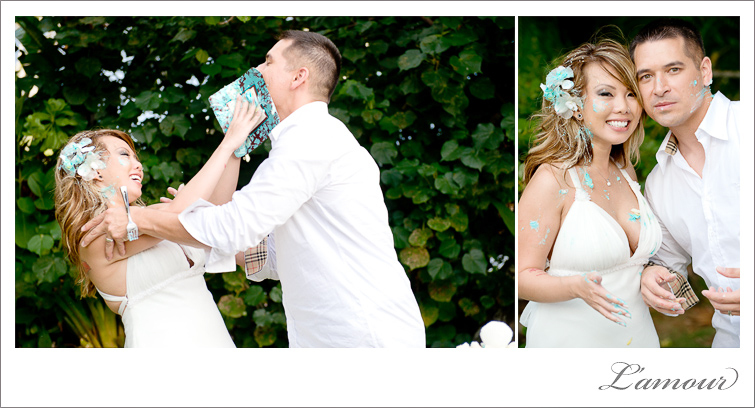 The cake cutting turned into an all out cake war with blue butter-cream flying everywhere! This wedding was so much fun, we are so thankful to have such great clients and to meet all of their family and friends too! 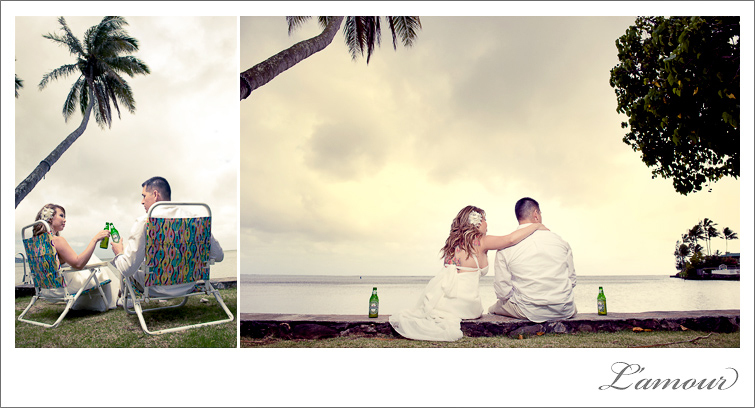 Make sure you stay tuned to see how this bride and groom got creative during their Hawaii Trash the Dress Session! 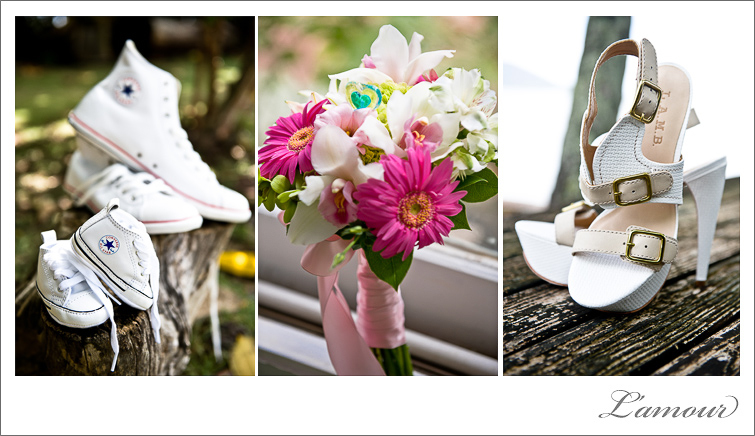 This entry was posted in Weddings and tagged destination wedding, Honolulu, Huki Lau Catering, Paradise Cake Creations, Private Estate, Trash The Dress. Bookmark the permalink. Love the colors and it is awesome that they had so much fun!! Excellent work.